← Sitecore Object of type ‘System.Runtime.Serialization.TypeLoadExceptionHolder’ cannot be converted to type ‘Sitecore.Analytics.Model.Framework.IFacet’. Form Sitecore 8.2, Sitecore have implemented Dependency Injection for their own classes. 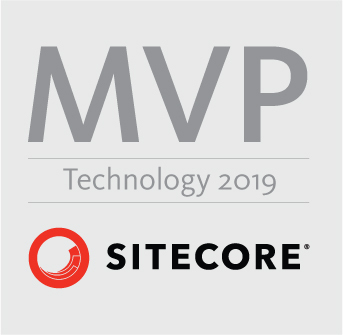 Sitecore uses Microsoft’s Dependency Injection library. Sitecore uses dependency injection to inject many things, including configurations. Therefore, you cannot access configuration before after your code have been injected. Imaging you like to inject a repository with the Sitecore Database as a constructor. You also would like to inject the database of the current context. This entry was posted in .net, c#, General .NET, Sitecore 8, Sitecore 9 and tagged Dependency Injection, IOC, ServicesConfigurator, Sitecore. Bookmark the permalink.